This deluxe edition of Home is printed on extremely high quality paper, printed on a sheet-fed press, and bound in a real cloth covered case with a tipped in photo of Ellen DeGeneres' living room featuring her Picasso. 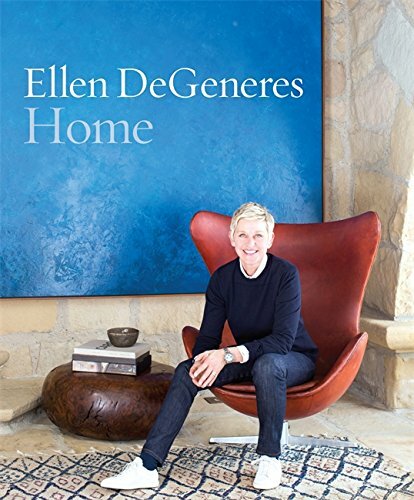 In Home, DeGeneres will, for the first time, share her passion for home design and style. She believes, "You don't have to have money to have good taste," and she is eager to share what she has learned over the years. DeGeneres offers a personal look at every room in each of her homes. Included are seven of her homes past and present, from the famous "Brody House" up to her current homes, and she offers tips and advice on what each house taught her. An added bonus is a look at the homes of her friends and collaborators-some of the finest designers in the country. They share their advice on home design, furnishings, as well as a glimpse at their awe-inspiring rooms.